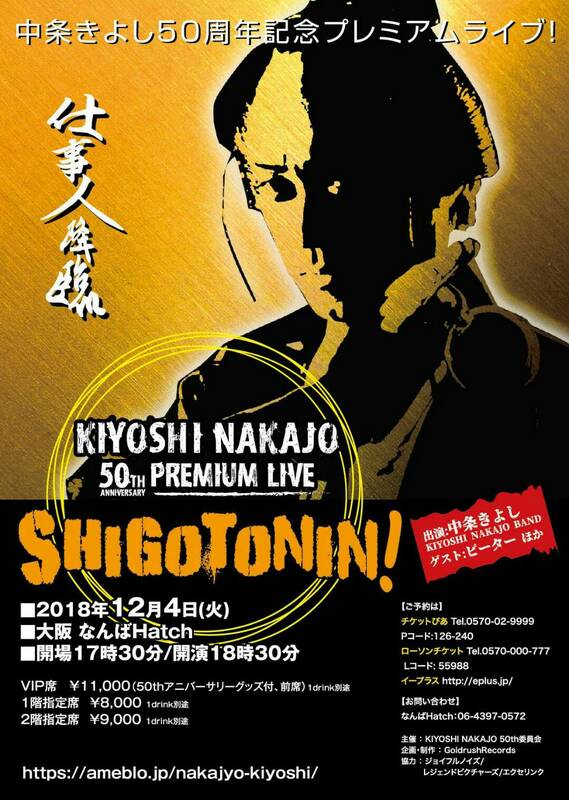 HOME　>　お知らせ　>　中条きよし50th anniversary PREMIUM LIVE SIGOTONIN!! 中条きよし50th anniversary PREMIUM LIVE SIGOTONIN!! ⒸCopyright © 2008 - 2016 EXCELLING Inc. All rights reserved.